It’s not every day that someone requests a princess cake, or even knows what that is! I love fun opportunities like that. A friend wanted to surprise a birthday girl with a princess cake. 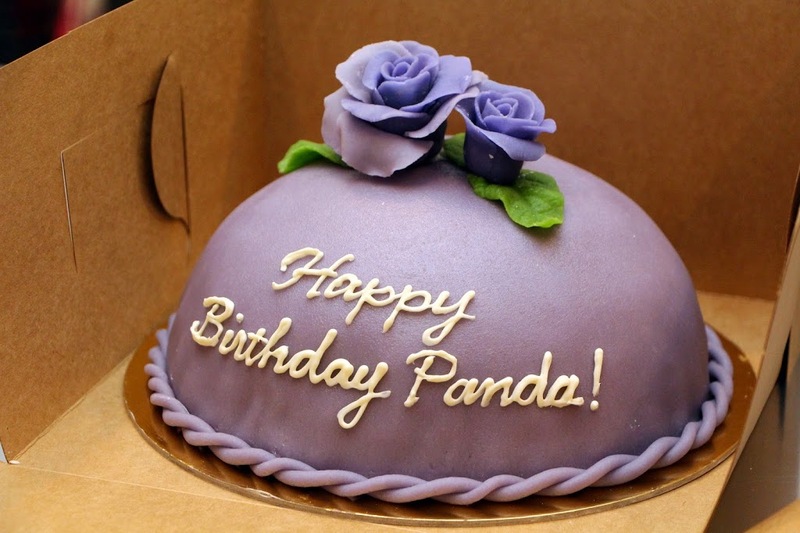 The only real guidelines were that she likes purple, and her nickname is “Panda”. 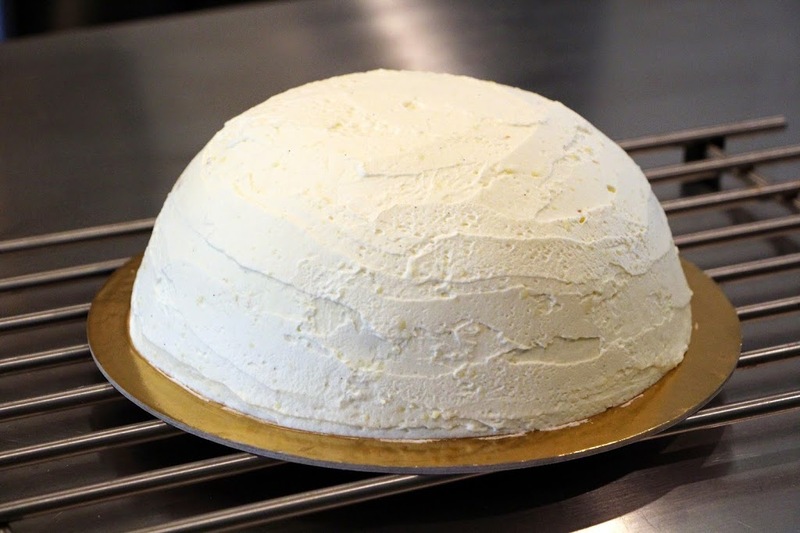 A princess cake (prinsesstårta in Swedish) is a traditional Swedish cake made of layers of sponge cake, pastry cream, and jam (I think typically raspberry), and shaped into a dome with whipped cream. 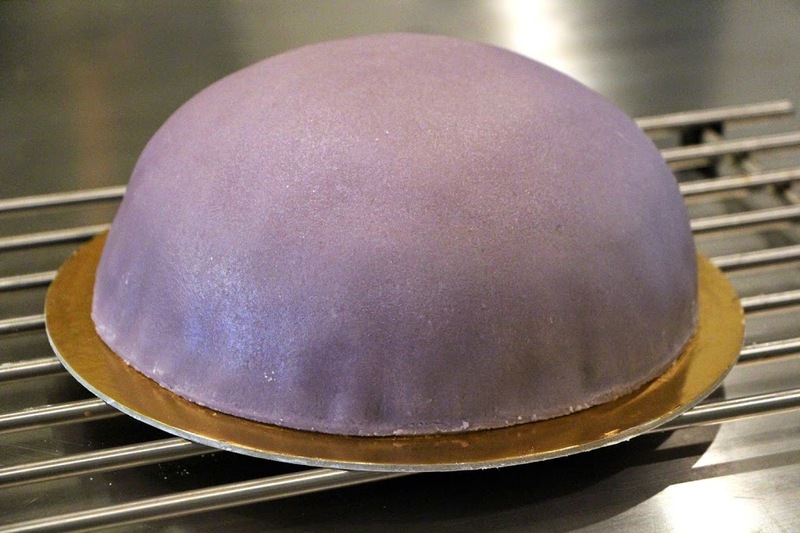 The dome is then covered by marzipan, traditionally tinted a light green color and decorated with marzipan flowers. 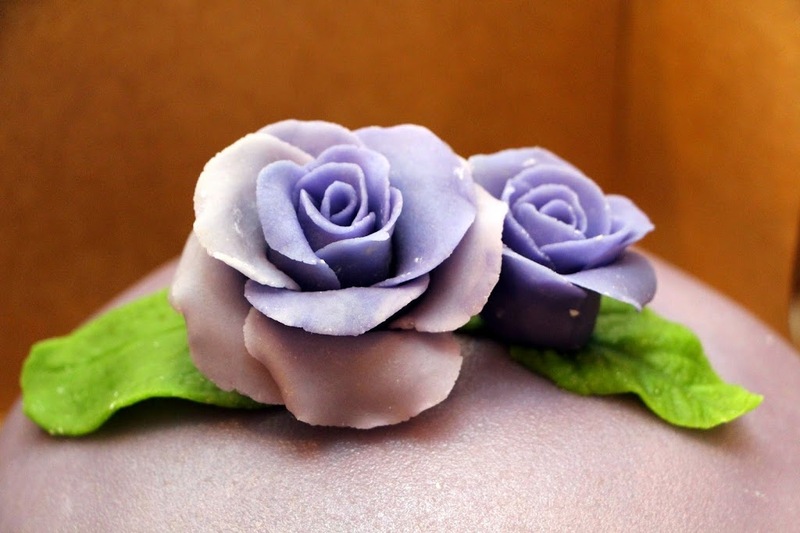 In this case, I tinted the marzipan purple, and topped with purple marzipan flowers. 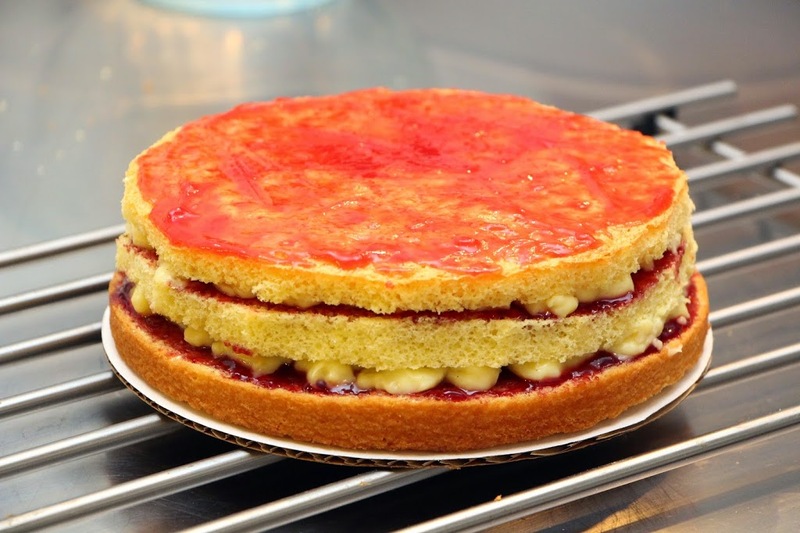 To assemble this, I first stacked the cake, jam and pastry cream layers. Then I spread whipped cream (stiffened with a little bit of pastry cream) into a bowl. 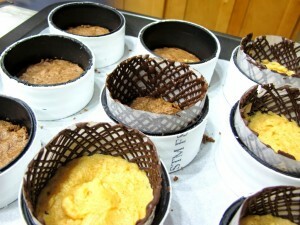 Then I placed the bowl over the cake, inverted, and let it set up in the freezer. Once frozen, the cake wasn’t too difficult to pop out of the bowl mold. 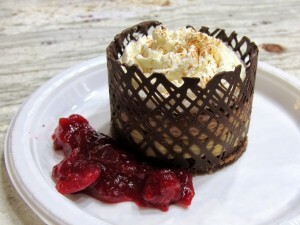 I smoothed out the whipped cream dome and then covered with marzipan. 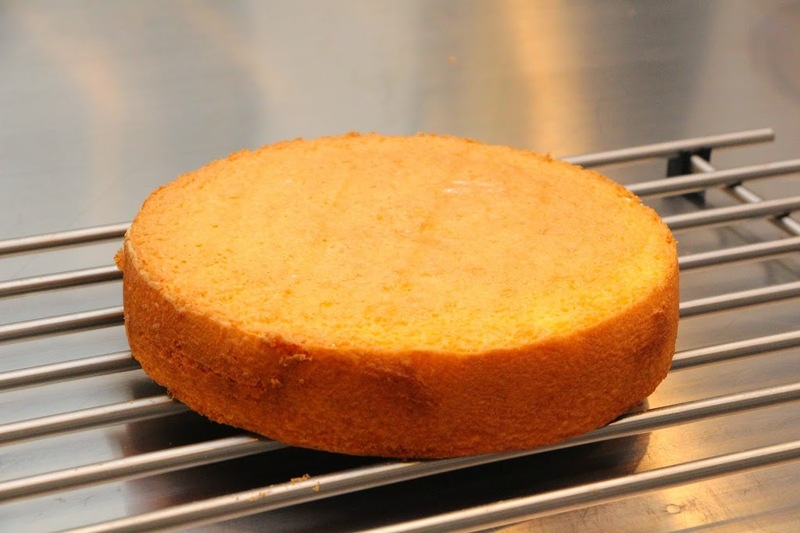 Not my smoothest cake covering job, but whipped cream is a little trickier to mold around than say buttercream. 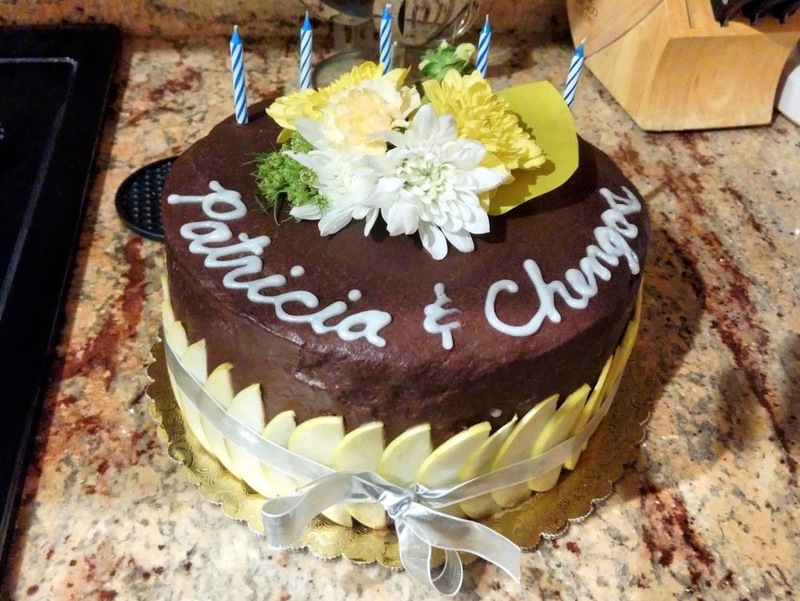 Happy birthday this week to my friends Patricia and Chengos! I made this cake at the last minute for a potluck. 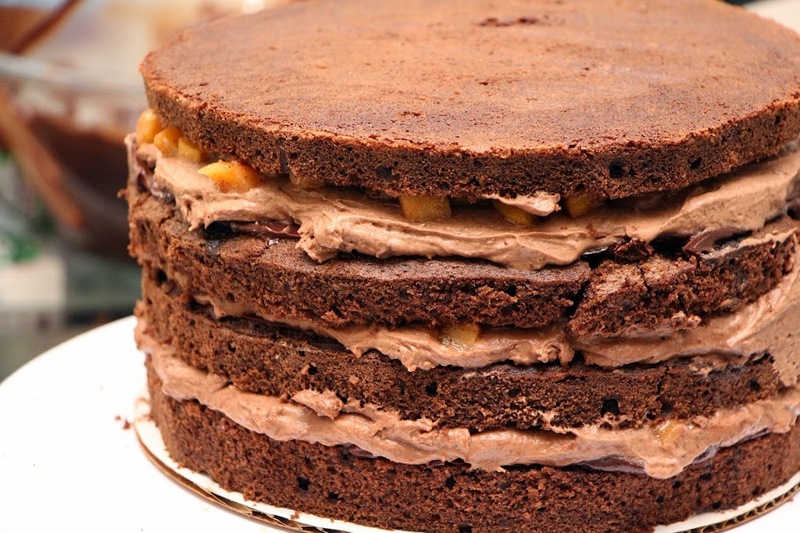 The only guidance I had was “chocolate” and “maybe with fruit”. 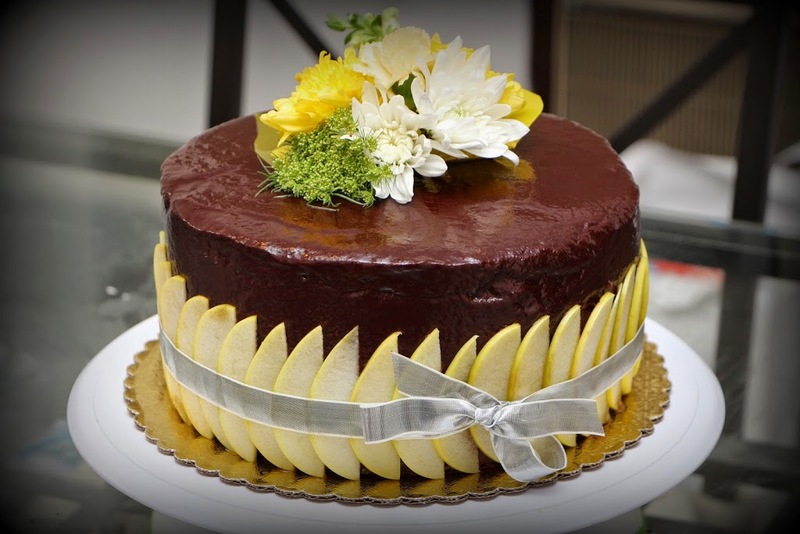 I thought about what I was originally going to make (apple tarts), opened up my favorite cookbook, Extraordinary Cakes, and the first page I turned to was “New York, New York,” a chocolate and apple cake. It was meant to be. 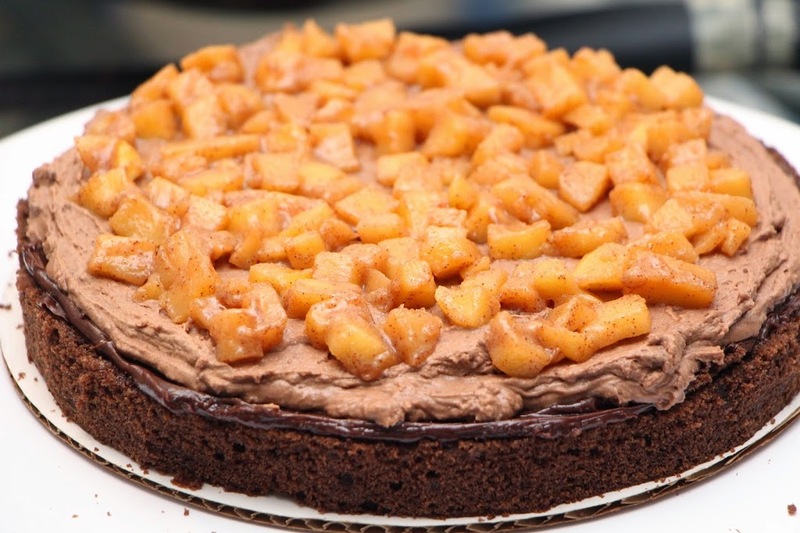 I don’t often associate apples with chocolate, but add in a little caramelization and rum, and it all comes together. 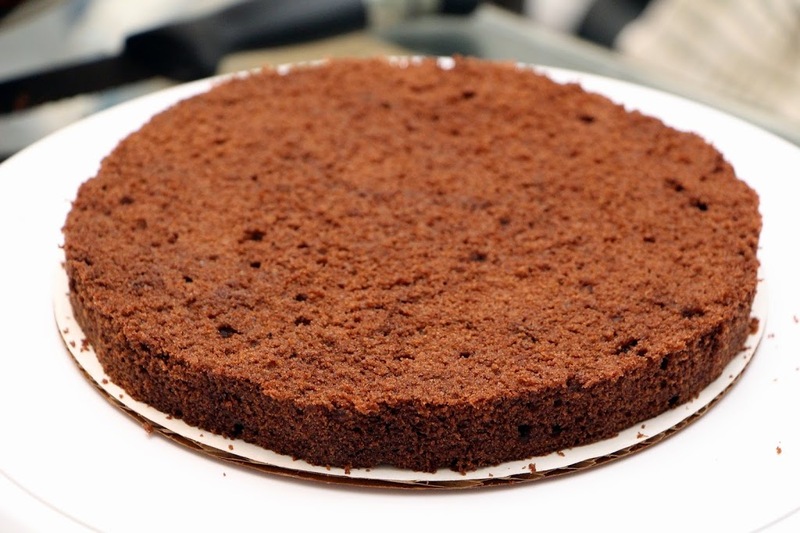 I used the same sour cream chocolate cake that I used for my previous German Chocolate Cake, since I knew I could count on it for a flavorful and light texture. 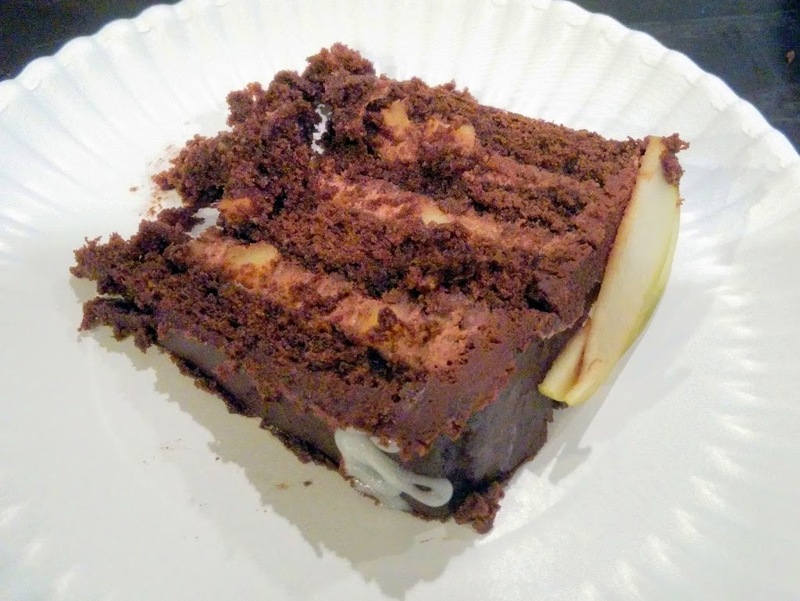 I brushed the cake with rum simple syrup and then layered it with rum-spiked chocolate ganache, chocolate chantilly (whipped chocolate cream), and caramelized Golden Delicious apples. 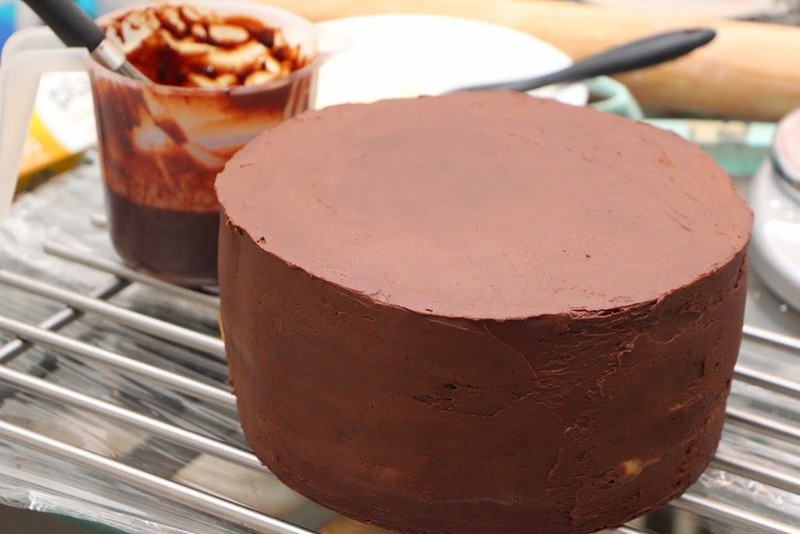 The assembled cake was then coated with chocolate ganache, and covered with a chocolate glaze for a smooth finish. 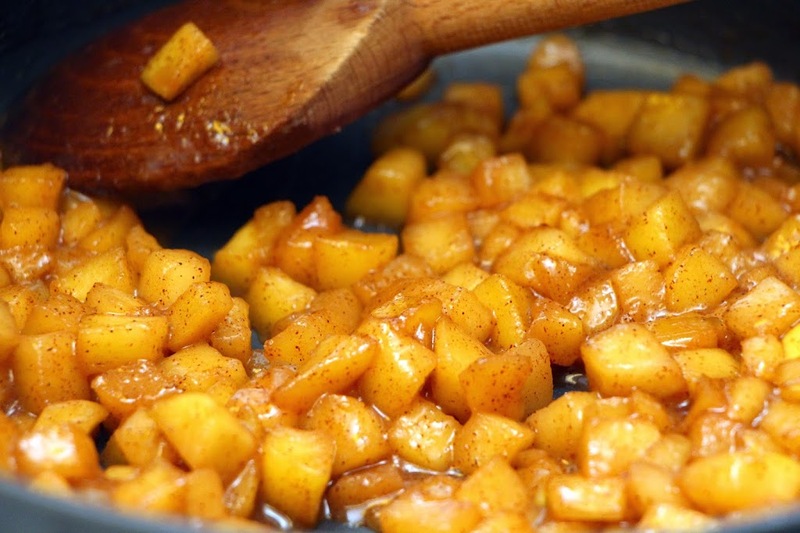 Then I placed thinly sliced Golden Delicious apples around the sides and secured with a ribbon. I didn’t have time to make additional decorations, so I arranged some fresh flowers on top. 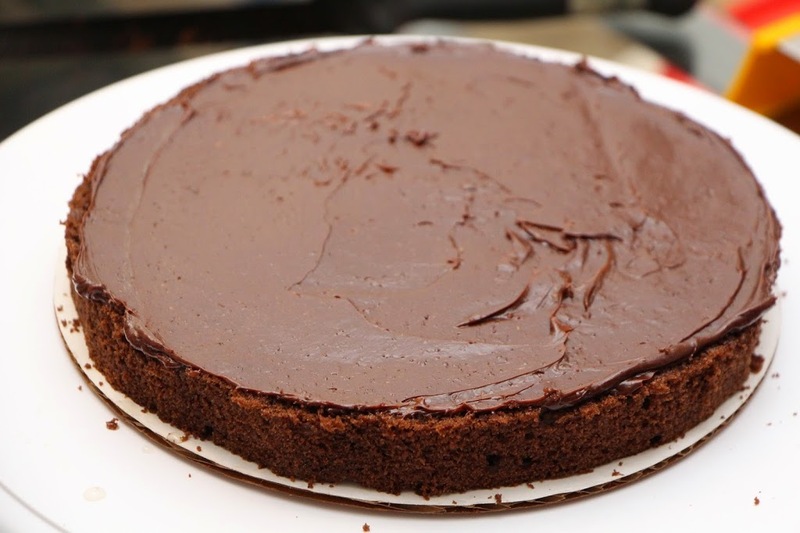 Pumpkin Chocolate Mendiant – Happy Thanksgiving! For Thanksgiving this year, I decided to present something along the lines of individual plated desserts versus a single cake. It was a lot more work, but a fun way to make use of my pastry school education. Plus, I needed to make up for the time that my pumpkin chocolate tiramisu failed to make it to the holiday gathering (in retrospect, that recipe I used was all sorts of wrong). This dessert has a base disc of flourless hazelnut chocolate cake, a layer of pumpkin pastry cream, a layer of pumpkin-chocolate crème légère (basically the pumpkin pastry cream mixed with melted chocolate, frangelico and whipped cream), and a topping of mascarpone whipped cream. On the side is a cranberry compote, made with whole frozen cranberries, sugar, lemon juice, frangelico and a little corn starch to pull it together. The dark chocolate cage was the most involved step. 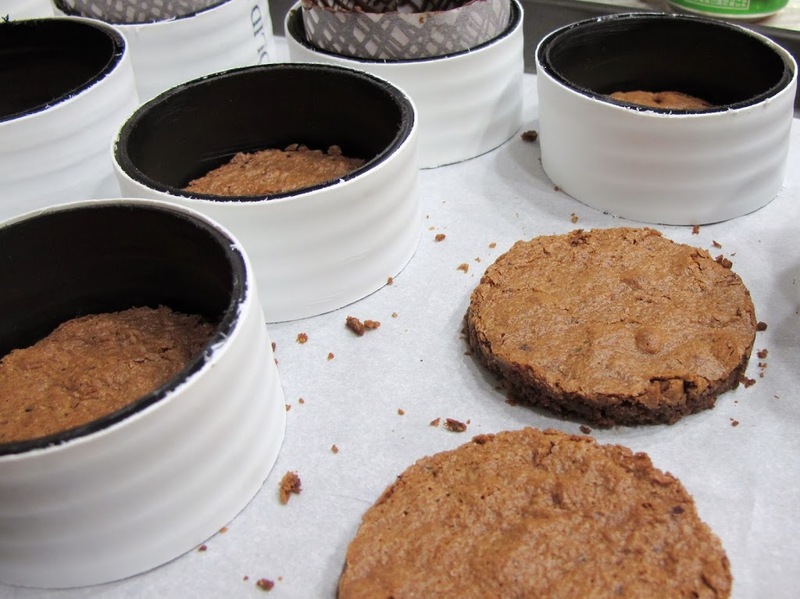 Fortuitously, my dad had 3″ PVC pipe lying around, so we sawed that into short rings for holding the cylindrical shape while the tempered chocolate set. Family teamwork! I’m only calling this a mendiant because that is the name of a similar dessert we made in pastry school. 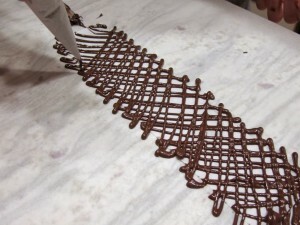 Obviously it is not the same as the chocolate confection also known as the mendiant, but I have yet to figure out a better name.